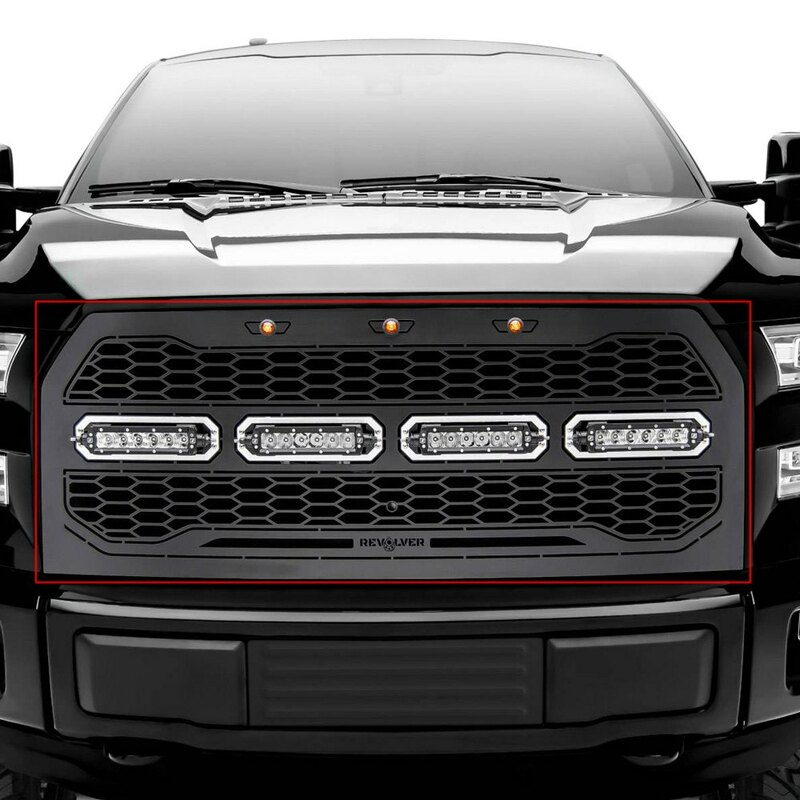 Revolver Series Raptor-Style Black Powder Coated Mild Steel CNC Machined Main Grille with 4 x 6″ ZROADZ LED Light Bars (6515741) by T-Rex®, 1-Piece. Installation type: replacement. This grilles design combines style, design, function, and utility all for an affordable price. It truly is a full package high quality grille that cannot be beat.